Mainstream brands get in on the bicycle market. Bike lights for kids. 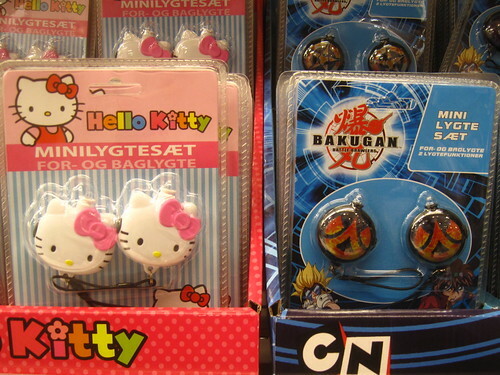 Hello Kitty or Bakugan. Personally, I'm holding out for Hanna Montana. As seen in a supermarket near here.